KC HiLiTES Rally 400 Halogen lights are a great accessory to add to your vehicle. Mount them anywhere and adjust them with the adjustable two axis mounts. These lights are available as a complete kit or can be purchased individually. These lights include a wiring harness and a black KC stone guard for each light. 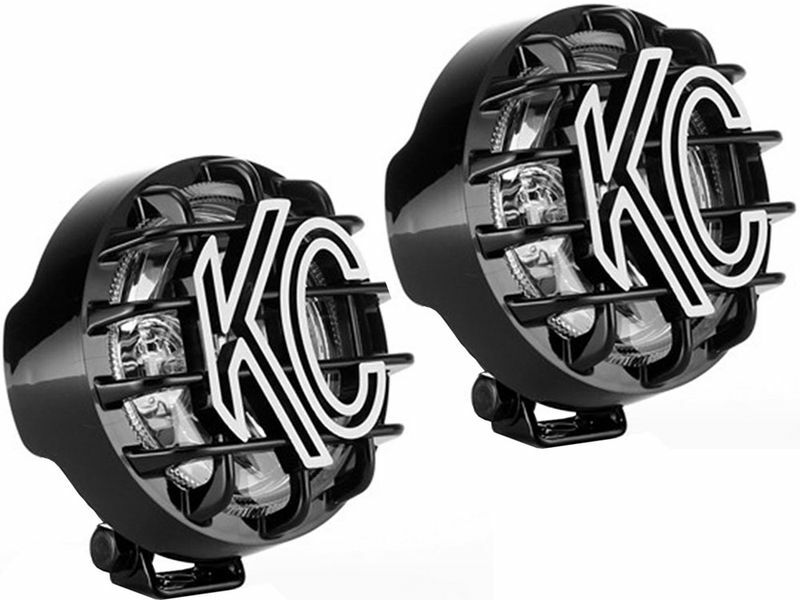 KC HiLiTES Rally 400 Halogen lights are constructed with a 4" black stainless steel housing and feature a durable hard coated Lexan lens. Precision polished reflectors produce a bright driving beam that will keep you heading in the right direction. Equip your ride with a durable set of KC HiLiTES Rally 400 Halogen lights. These lights are backed by a 23 year limited warranty. KC HiLiTES proudly warranties all of their products against failure for a period of 23 years. If a housing or reflector rusts, if a switch or relay fails, if a cover fades from the sun; we even warranty all of our bulbs against burnout. Exclusions are abuse and damage caused by accidents or road debris. Failed products must be returned to KC HiLiTES, freight prepaid with a pre-approved Return Authorization number. At our option, we will repair or replace the item(s) in question and return them to you at no charge. KC HiLiTES Rally 400 Halogen lights off an easy at home installation. For additional information see the install manual.